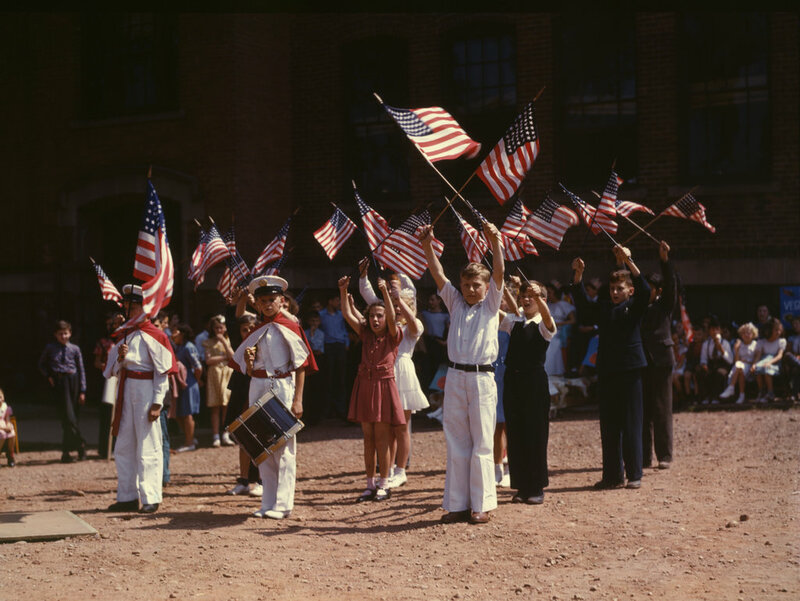 Another color photo of students at the Beecher Street School, in May 1942. Image courtesy of the Library of Congress, FSA-OWI Collection. The caption of the original photo is “Children stage a patriotic demonstration, Southington, Conn.” Like the one in the previous post, it was taken at the Beecher Street School, and was probably intended by the Office of War Information to show the patriotic zeal that even young American children display. At the time, the Beecher Street School was an elementary school; it had been built in 1911, and it would later be converted into offices for the school department. 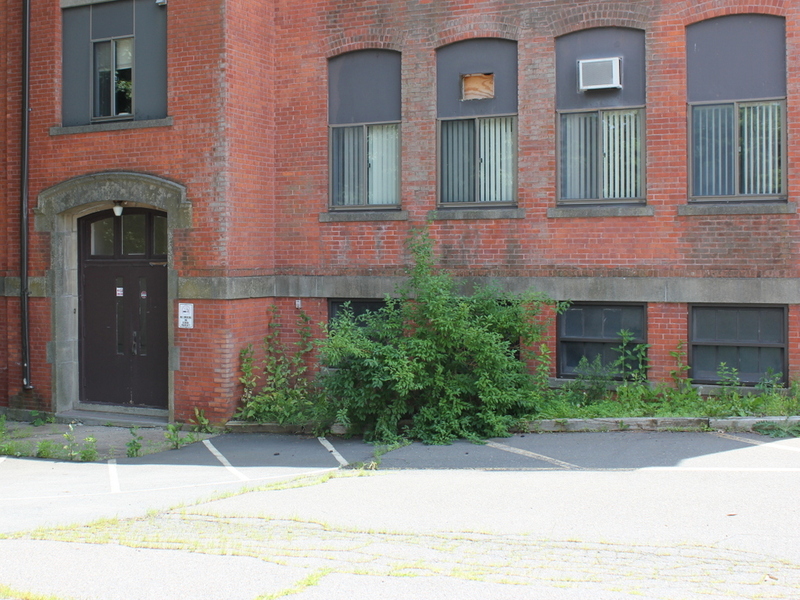 The students in the 1942 photo would be in their 80s today, and the school building itself now stands vacant, although it was purchased by a private company last year to redevelop into apartment units.